Az Yashir Moshe is a “bencher,” a book of songs and blessings. Initially edited by Jay Michaelson and published in 2001, a second edition was published in 2009 by Ktav Publications, featuring newer, easier-to-read type face and customization available for weddings and other occasions. 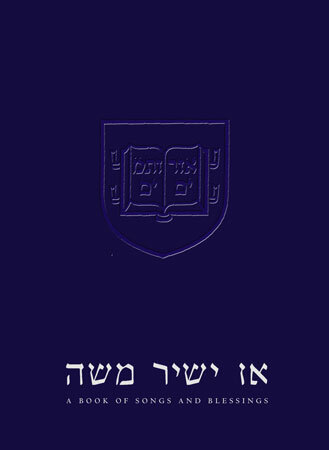 Dedicated to the memory of Matt Eisenfeld (SY ’93) and infused with the values of the diverse Yale community, Az Yashir Moshe offers the most complete selection of traditional zmirot, Israeli songs, and niggunim, beautifully designed for readers of all levels of Jewish learning.